There are two seasons in Seattle – the book-reading season and the outside season. Right now, we are in the peak of the outside season. This is not a drill. Put your book down and go outside. Here are a few ideas to get you started. One good way to get outside is to take a hike on one of the beautiful trails around town. Even bookish beginners or those with young kids can find the right trails with a little help. 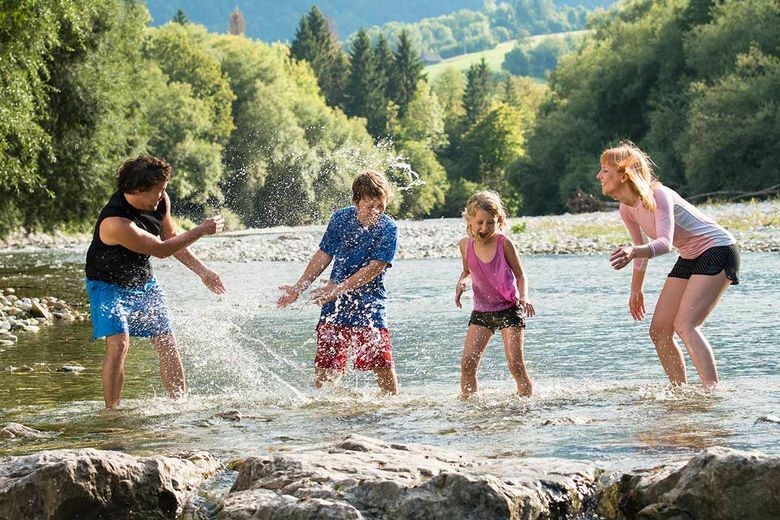 Believe it or not, the website of your local drugstore, Bartell Drugs, offers some great ideas on family- and pet-friendly hikes in the area. The Washington Trails Association is another great source. If you’re a beginner, start small to make sure your outing is a success. Several urban parks offer wooded trails perfect for hiking. Discovery Park – This 500-acre park is located in Magnolia and home to 12 miles of hiking trails. The 2.8-mile Discovery Park Loop Trail is a good way to start your exploration. Franklin Falls – Located in Snoqualmie Pass, this hike is short, flat, and leads to a picturesque waterfall. Pack water shoes and you can splash around in the plunge basin. Speaking of packing… Before you set out on your adventure you’ll need to make sure you’re prepared. Bring rain jackets (just in case), sunscreen, sun hats, sunglasses. Kids need a change of clothes because they will undoubtedly find a way to get soaking wet. You can also, be prepared for the inevitable injury by packing a first aid kit. Don’t forget snacks and water. And, here’s a secret about kids: they like candy. When they start to lag behind, run ahead and place pieces of their favorite snack or candy in prominent spots – boulders, tree stumps, downed trees, benches, etc. Maybe you don’t usually bribe your kids and good for you, but this might just be the lifesaving tool you need to get them to the car. So, you’ve gone out into the wild trails of the Pacific Northwest. You’ve had your picnic; you’ve gotten good and hot and put a few bandages on a few owies and now you’re home. No, now is not the time to read your book. It’s time to cool off and what’s the best way? Submerge yourself. Of course, there are great neighborhood pools and lifeguarded beaches all over town. 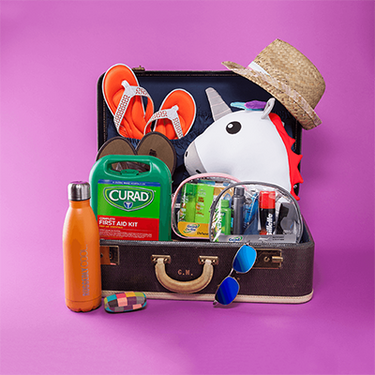 Just repack your tote with the same sunscreen and hats, and add beach towels, flip flops, goggles, and floaties. 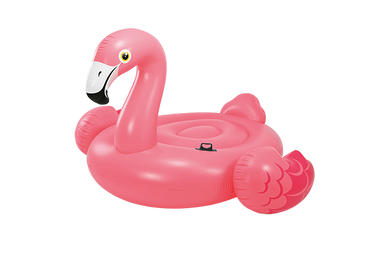 You’ve been eyeing the pink flamingo floatie, and THIS IS YOUR CHANCE TO BUY IT. So, that’s one way you can roll, hike and then swim. Or, if you’re feeling ambitious, you can do both activities in the same outing – two birds and one stone and all of that – you can hike to a swimming hole. Boom! Here are some hikes that lead to swimming areas that will heat you up and cool you off. So, pack your swimsuit, your towel, your goggles, and get walking. Seward Park – This 300-acre park in SE Seattle is home to picnic areas, playgrounds, a swimming beach, and a variety of trails including an easy 2.4-mile walking loop. Walk through the forest or along the water. This is urban nature at its best. Kachess Lake – If you’re looking to venture a little farther from Seattle, consider taking I-90 out into the wilds of Snoqualmie to visit Kachess Lake. The park offers trails, camp sites, and swimming. Looking for more ideas? Buy yourself a guidebook. (This kind of book reading is acceptable.) Do a little research and find your own hike/splash combo. (Consider “Beer Hiking Pacific Northwest” — a handy-dandy guide to 50 Washington, British Columbia and Oregon hikes, each anywhere from one to six hours long, and each leading to a nearby brewery or brewpub. Now that’s a hike/splash worth getting up for!) Then, when you’re cool and tired, and all you want to do is read a book… Well, then it’s all right. Just make sure you’re sitting outside and have a cold beverage at hand. Book reading is only allowed if it’s done outside.